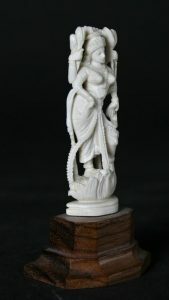 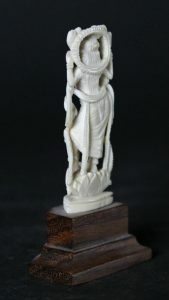 Ivory from around 1930 Laksmi on a wooden base. 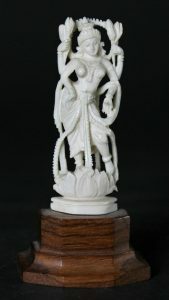 Very nice refined carved. 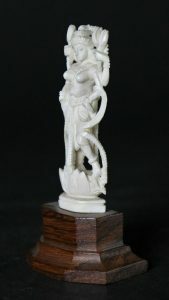 Watch out that in some countries Ivory is not allowed to import. 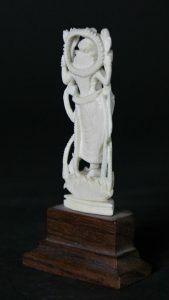 Within the Euroen Union there is no problem if the Ivory, like this, is older than from 1947 (CITES law).